With calls for Catalonia’s independence on the rise, Spanish Prime Minister Mariano Rajoy has told local media there will be no referendum that "puts into question the sovereignty of the Spanish people" while he is head of the center-right government. "The state is prepared for any scenario that may occur. The law will be enforced. 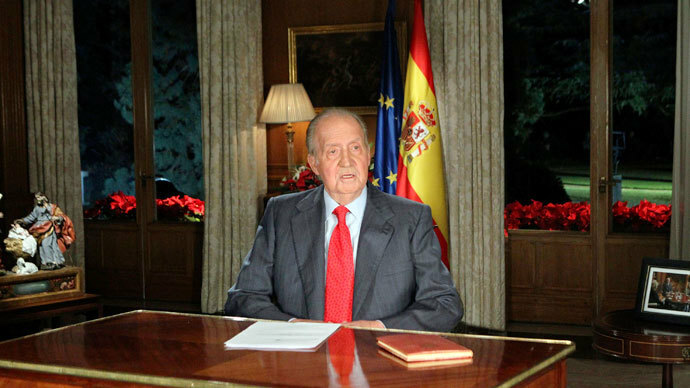 There will be no referendum that calls into question the sovereignty of the Spanish people. There will be no independence of Spanish territory while I'm president [of the government]," Mariano Rajoy said in an interview on Antena 3 TV on Monday. Last month Catalonia’s regional government set a date for a referendum to vote on whether or not to separate from Spain for November 9. Madrid has condemned the decision as "unconstitutional," and the government of Rajoy pledged to block the referendum. Last week Catalan politicians voted in favor of asking for the right to hold a referendum on independence from Spain, but Madrid has the legal power to say no, with Rajoy expected to use the national parliament and Supreme Court to block any move to hold a referendum. The autonomous region of Catalonia, whose wealth mainly comes from tourism, is responsible for around a fifth of Spain’s GDP and about a quarter of Spain's taxes. It's the country's most economically productive industrial region, which boasts its own language and a population of about 7.6 million. "I will work to improve ties that have always united Catalans and Spanish. I will see to it that the law and the Constitution are observed. That's my plan for Catalonia. 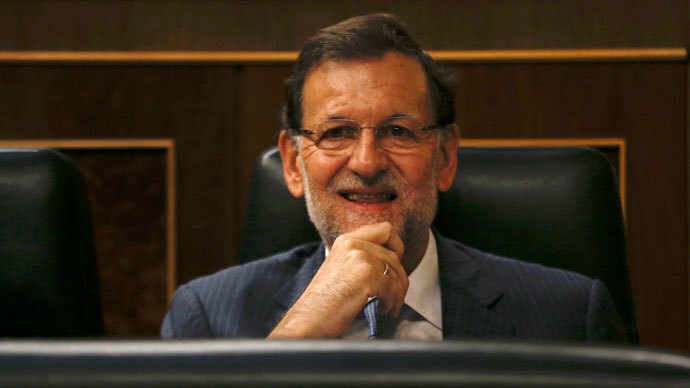 I guarantee that the president will observe the law and will comply with the law," Rajoy stated in the interview on Monday. 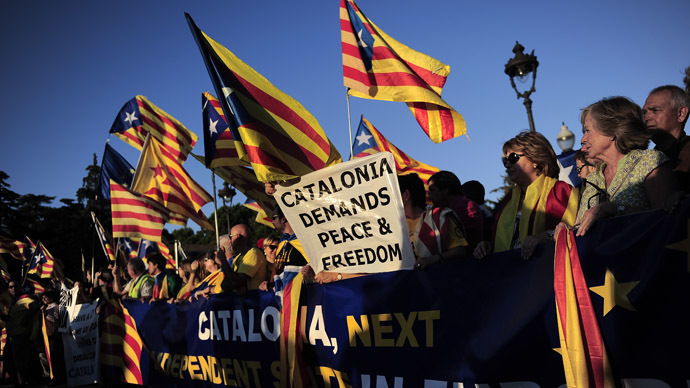 Recent years have seen a resurgence in the separatist movement, with calls for independence in a climate of economic woes. A pro-independence rally in Barcelona in September 2012 drew in over 1.5 million people, with the slogan for the demonstration ‘Catalonia: a new European state’. In 2012, polls in support for independence of the northeastern Spanish region ran at over 46 percent, twice as high as in 2008, when the global financial crisis broke out. 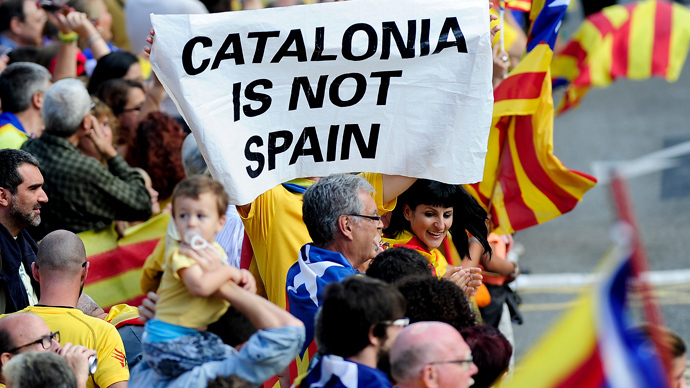 In December 2013, a GESOP poll, published in Catalan newspaper El Periodico and based on interviews with 800 people, showed that 74 percent of Catalans believe they should be given a say over their relationship with Spain. 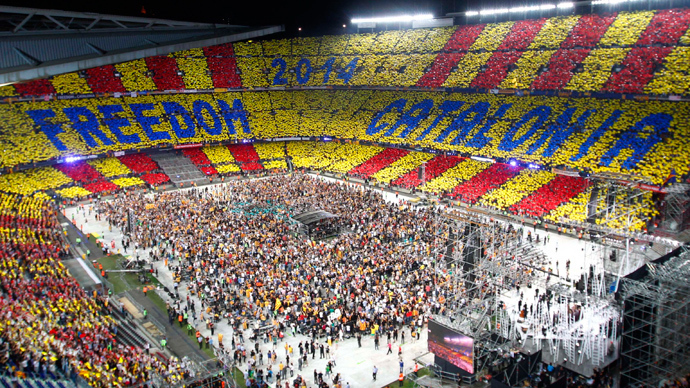 The 2014 referendum would run two major questions: "Do you want Catalonia to be a state?" and "Do you want that state to be independent?" A separate Sigma Dos poll, carried out after separatist parties announced the referendum date and published in Spain's right-leaning El Mundo newspaper in mid- December, showed that 43 percent of Catalans would vote ‘yes’ to Catalonia becoming a state and of that amount, 82 percent would want the state to be independent. Based on interviews with 1,000 people, El Mundo said only 35 percent of Catalans would vote for full independence from Spain, however. In letters dating from December and made public on January 2, Catalonia’s president, the pro-independence Artur Mas, urged European Union leaders to support a referendum. "Contrary to some reports, there are a number of legal and constitutional options which allow this referendum to take place in Catalonia," Mas wrote in a letter to German Chancellor Angela Merkel, one of 27 sent to European leaders. "I am confident I can rely on you to encourage the peaceful, democratic, transparent, and European process to which I and a vast majority of the Catalan people are fully committed." Apart from the letters to EU leaders, Catalonia's regional government has also recently sent 45 memoranda to foreign countries listing its advantages as an export-led economy.